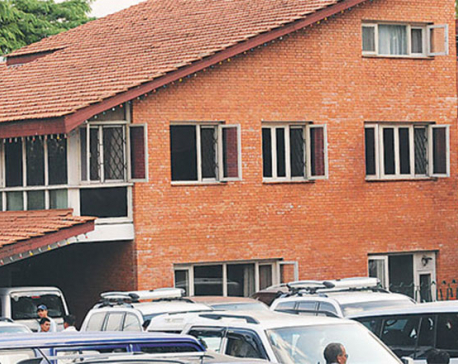 KATHMANDU, Oct 21: A meeting of the ruling Nepal Communist Party's central secretariat has started at Prime Minister's official residence in Baluwatar. 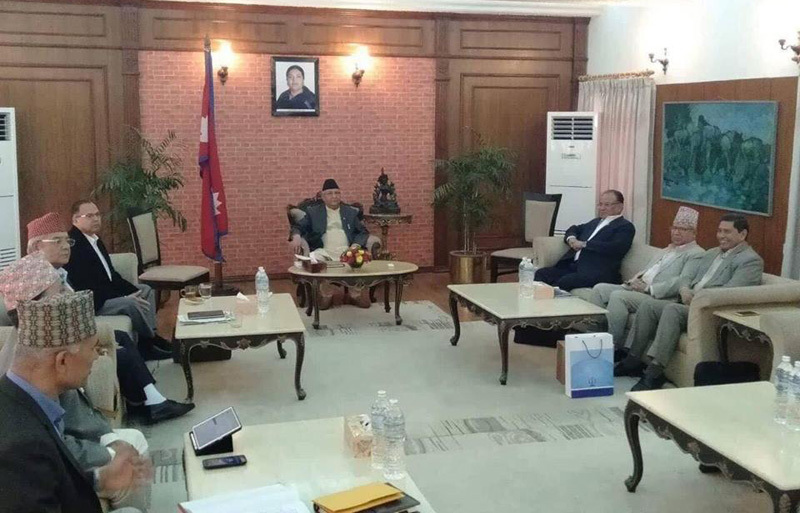 It is learnt that the NCP leaders are holding discussion on wide-ranging issues in today's central secretariat meeting including the party's unification process at the provincial and district levels, and a note of dissent submitted by senior leader Madhav Kumar Nepal in the last meeting. Co-chairmen KP Sharma Oli and Pushpa Kamal Dahal and central secretariat members are attending the meeting. Submitting his note of dissent in the erstwhile meeting, senior leader Nepal had expressed his displeasure over the secretariat's earlier decision to appoint office-bearers of provincial committees, calling the move as 'unilateral' and 'non-inclusive'. 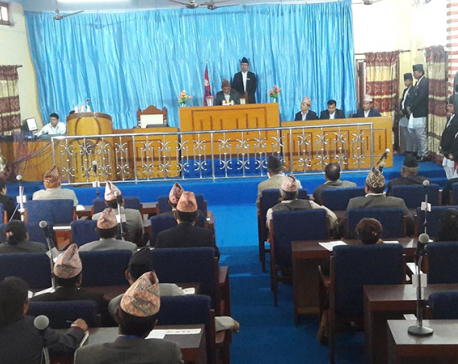 The disgruntled 'Nepal faction' of the NCP has been demanding to hold the party's standing committee meeting as early as possible to sort out ongoing intra-party disputes. Leader Nepal has been criticizing the performance of Oli-led government in public forums in recent days.